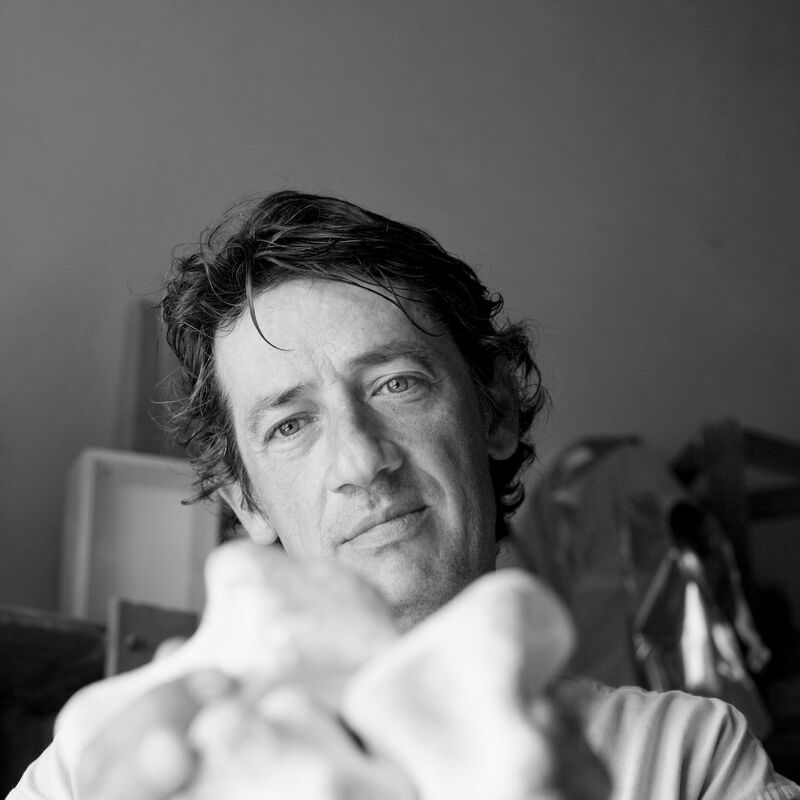 Manel Galià is an artist who has devoted his life to his passion: to create. His father, Narcís Galià was Professor at the College of Fine Arts from the University of Barcelona, where his mother, brother and sister studied too. Galià works in different materials, mainly glass fiber, terracotta and iron. He peels his creations off any aesthetic approach focusing on a deep work of materials in order to provide universal meaning to each of his creations: movement, instants that reflect conceptually a concrete feeling. We have had the chance to see him modeling with obvious expertise and absolute passion in his studio in St Mori (Girona – Spain), surrounded by centenary stone walls, clay blocks and amazing views. Manel has a hospitable character and describes his work without a hint of waste; he does not stop modeling while we take photos and interview him. "Motion, is it thinking? Or does thinking transform into motion?" 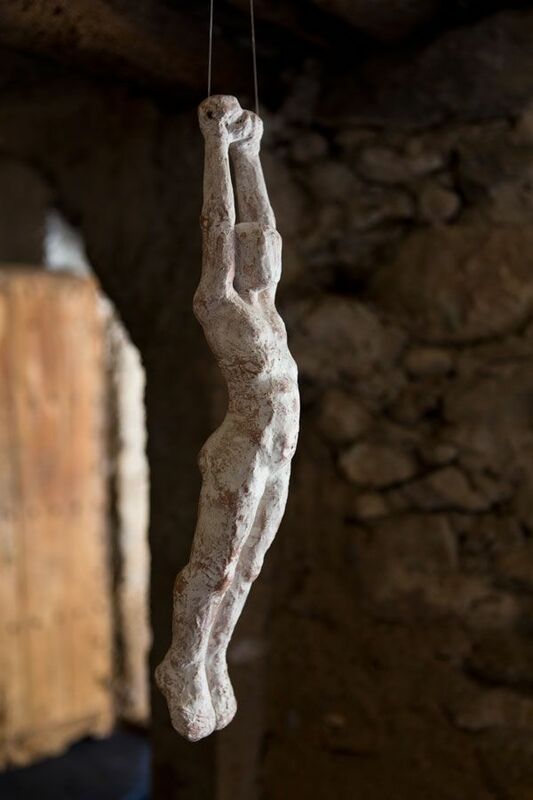 Manel Galià updates a classic discipline and transforms it to suit the contemporary requirement of instant messages: when he sculpts a man with outstretched arms, as if he was flying, he says: "Come on! Get out! Fly! Do it! "A man hanging from a rope? No, he is not a trapeze artist". This sculpture suggests a mood: maybe it is someone who is facing a challenge. 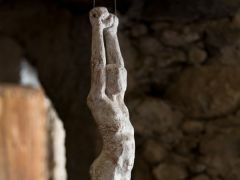 Formally, Manel Galià does not idealize his sculptures; he does even avoid facial representation. His style is unspeakable: neither reactionary nor traditionalist. He abstracts himself in the interpretation of motion and enjoys each texture. His formal art responds just to one concept: the one of personal experience, the artist recognizes and represents it, and tries to provide an answer to it. "The sculpture is not an object; it is a question mark, one question, and one answer. 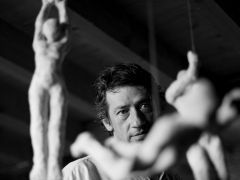 It cannot be neither finished nor perfect" – "Giacometti". Manel Galià (Barcelona, 1966) is little known, although his surname has an important place in Catalan painting. Although he has dedicated his life so far to art, he is not used to exhibiting. It is difficult if not impossible to classify his work, as he goes from one style or technique to another, fleeing repetition and stagnation. 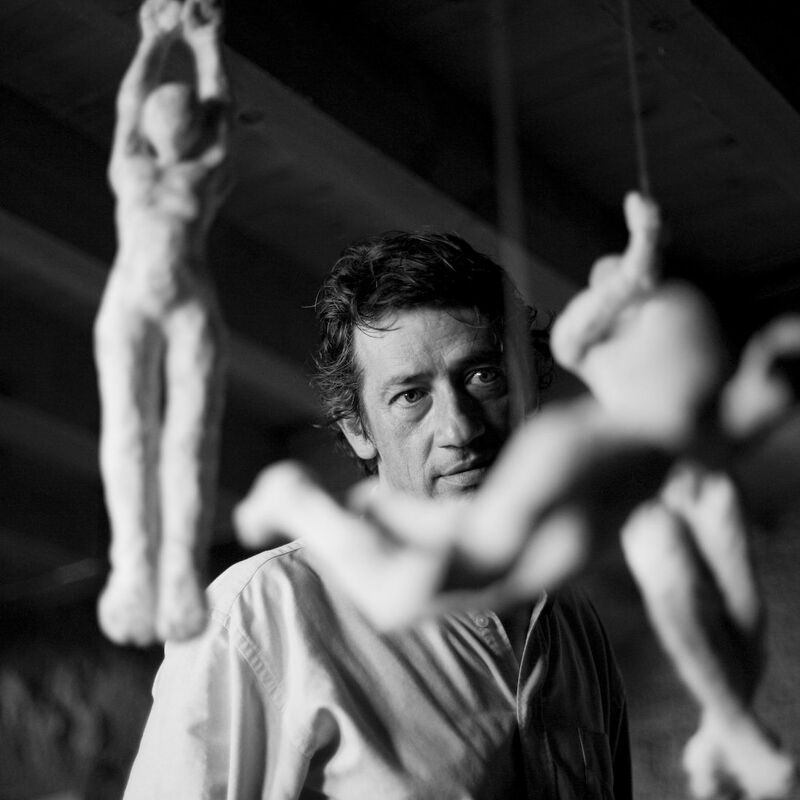 In any case, Manel Galià is an artist; art is his life-blood, his work, and his passion. 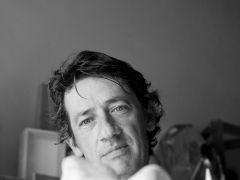 He is the son of Narcis Galià, painter and professor of painting and color at the faculty of Fine Arts of Barcelona. His father gave him an extremely solid foundation in techniques and knowledge of art. Yet this is not all, for paintbrushes have always played an important role in his family. His mother and both is brother and sister all studied Fine Arts. Strict training by his father kept Manel painting landscapes for a long time, where color, the strokes of the brush, and the materials combined to an impressively harmonious whole. One of his favorite painters is Cezanne, which can be seen in his works. He has without doubt achieved great technical mastery. Yet at some point Manel felt the need to leave all he has learnt to look for his own forms of expression. This led him more and more to work with volumes, and so most of his recent works are sculptures. Even so, he still calls himself a painter. He doesn't differentiate between one form of creation and the other. "Sculpture is like the sum of many drawings," he explains. "Whenever you turn a piece around, you have a different drawing." His themes are also very varied, although they all seem to form part of daily life, from the destruction of the landscape to basic concerns and vital balances. His small and adorable figures evoke thinkers, tightrope walkers, voyeurs, climbers, players, and elusive figures walking in a closed circle or about to throw themselves into a pool. He plays with the movement and geometry of his figures. He also has a recent series dedicated to essential questions such as proximity, implication, or distance made with balls of powdered clay. He has been working a lot with clay recently. In fact, he chose this material once he settled down in the Empordà, firmly connected to the soil. Manel Galia has been living in Camallera since eight years. His relationship with the Empordà comes through his partner Claudia, whose parental roots are here. Here in the Empordà we will next show his work in a collective exhibition in the espai d'art Km 7 in Saus-Camallera. The show is called "Blanco", as all 40 artists in the show have worked with white. 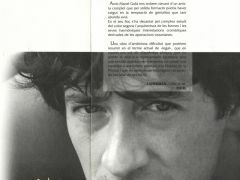 Manel has not had many shows in Catalonia and has mostly shown his work in Mallorca and in Madrid. There is one curious detail in his career: some of his figures were chosen to appear in Woody Allen’s film “Vicky Cristina Barcelona”. Reckon with Manel Galià once he dives into the pool!. 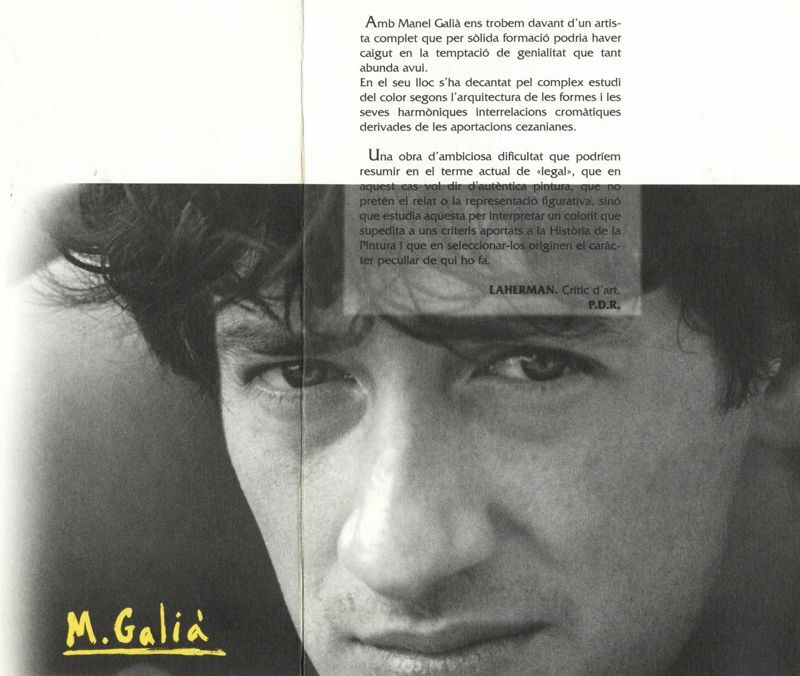 In Manel Galià we find a complete artist that out of solid learning, he might have succumbed to the temptation of genius that abounds today. Instead of that, he opted for the complex study of color depending on the architecture of the forms and their harmonic chromatic inter-relations resulting from “cezanian” contributions. A difficult and ambitious work that could be summarized in the current term of “legal”. Matter plays a key role in the work of Manel Galià. He is a young painter, impulsive, who offers a strong painting, hard and densely worked, combined with lights and effects looking forward to what is more attractive. His paintings are well constructed, firmly, and solved with a short touch, insistent. His themes are mainly landscapes, found in both thy Pyrenees and Montseny, as well as in the always beautiful island of Mallorca. Color, light, chromatic courage, are the pictorial weapons of Manel Galià.